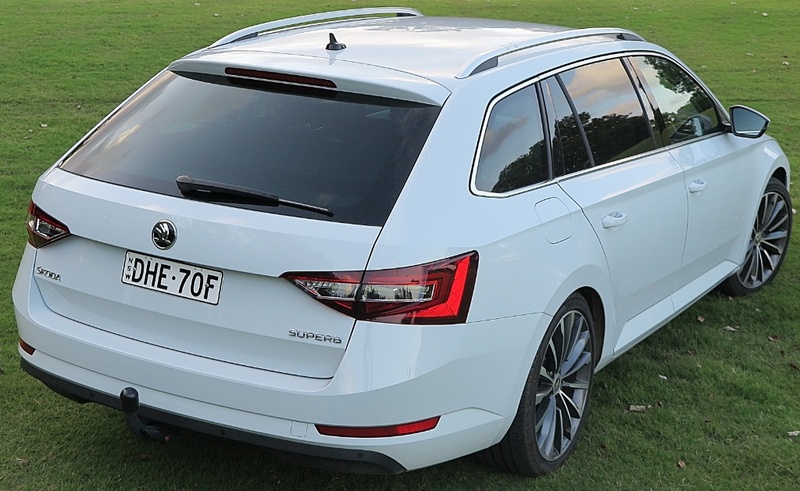 If ever you needed convincing of the skills and talent of Volkswagen Group's tool and dye makers' efforts to create and employ innovative and deadly accurate tooling, a detailed look at the new Skoda Superb should be enough to convince you that VWAG is already at the leading edge. Check out the front of the car, and where the 'clamshell' hood pressing meets the top line of the front fender. Not only is it very difficult to stamp the hood so consistently perfect, but also to ensure the alignment with the top of the front fender also remains consistent car to car. This long gap makes it very challenging to ensure that the margins remain tight. Now look at the way the style line follows from the top lip of the clamshell hood, along the body side, and the way it blends to the tailgate. This is very impressive fit and finish. In a number of discussions in Group styling meetings in Wolfsburg which I attended, I have heard directly from Dr. Piech, his critical attention to margins and alignment of panels. He was/is fanatical about margin gaps, and this Skoda Superb is a 'superb' example of the VWAG toolmakers' talent.